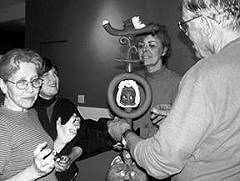 The Clayfolk organization has grown over the years adding many educational programs and events.Clayfolk currently has approximately 160 members. 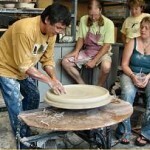 The member’s commitments to clay range from hobbyist to professional. Their works range from sculptural to functional in many different styles and artistic visions. The only criteria-for-membership is a love of clay and residence in Oregon and Northern California. Please visit our Officers and Committee Chairs page for a current list of officers. 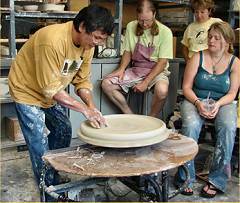 We welcome new members who want to share ideas and experiences about ceramics. Please visit our Membership page for more information on the benefits of joining Clayfolk.